Game description: Explorers have uncovered a previously unknown megacity that is well protected from scouting incursions. When all attempts at penetrating the border are met with destruction, the call goes out to the Ravens, a team of mercenaries hired by the government. As a Raven, you must pilot armored mech suits and destroy enemy weapon systems. A new first-person view allows you to experience a mission from the cockpit. 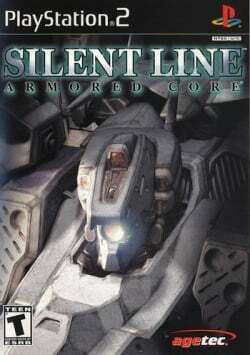 Silent Line: Armored Core also lets you go head-to-head with up to four players or team up for fierce two-on-two battles. This page was last edited on 7 July 2018, at 20:48.